Pluto, formal designation 134340 Pluto, is the second-most-massive known dwarf planet in the Solar System (after Eris) and the tenth-most-massive body observed directly orbiting the Sun. I am reminded of a time I told the story of the Solar System, as the newest planet was stripped of his planetary status. From its discovery in 1930 until 2006, Pluto was classified as a planet. In the late 1970s, following the discovery of minor planet 2060 Chiron in the outer Solar System, scientists questioned Pluto’s planetary status. They discovered he was smaller than the moon of Earth. And yet he was a giant among his peers, the members of the Kaiper belt. Nowadays Pluto is known as the second-most-massive known dwarf planet in the Solar System (after Eris). 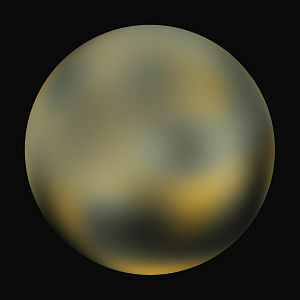 Lord Pluto was demoted from planetary status, having been known in the legends of Earth as both a Roman god of wealth from the eternal spring of abundance emerging from the fertility of the underworld, and more recently during the last 100 years or so, as the outermost wandering traveller in the night sky orbiting the central star Sol/Helios/Sun. The scientists in charge reclassified Pluto as a “Dwarf Planet” due to his erratic orbit and the fact that countless other bodies of his size and distance from the center of the Sun put him in a class of bodies we prefer to think of as asteroids… Once again, as in ancient times, he is known as a wealthy king, this time in the realm of his Brother Zeus, ruler of Heaven. I told the story of Mnemosyne, who is Memory, the mother of the nine Muses. 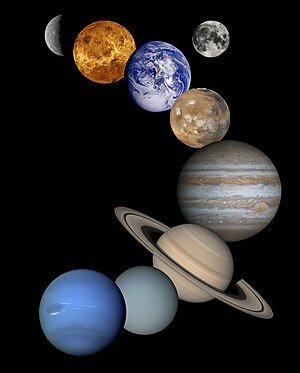 I told a short story for each of nine ancient dieties, but this time the nine were the planets of Sol, remembered from the letters of a mnemonic poem taught to children of the time… My (Mercury) Very (Venus) Educated (Earth) Mother (Mars) Just (Jupiter) Showed (Saturn) Us (Uranus) Nine (Neptune) ……… Planets (No longer since 2008, Pluto).